Welcome to The Tasting Table as we gather with three fabulous authors here to chat about their current journey toward publication. What an exciting and often daunting time it is before our first book is published. No matter what path we follow, the emotions, doubts, highs and lows all creep in. 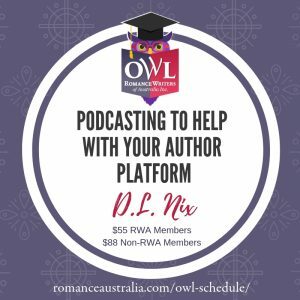 Please join me in welcoming Nancy Cunningham, Heather Hodgson (writing as HM Hodgson), and Nina Campbell (writing as ND Campbell) as they share their experiences, hopes, dreams, and advice. Q1. Tell us about your passion for writing. How long have you wanted to be an author, and where are you on your journey? HEATHER: I wrote my first story about age twelve – I loved the way that words could evoke a feeling, or transport me to another place. Fast-forward two, ok, closer to three, decades, and I’m currently shopping my second full manuscript – a witchy paranormal romance (heat level: ghost pepper!) – and working on my WIP for the next in the series. I’m unpublished but plan on changing that. Two years ago I realised that if I ever wanted to become a published author, I had to get serious. 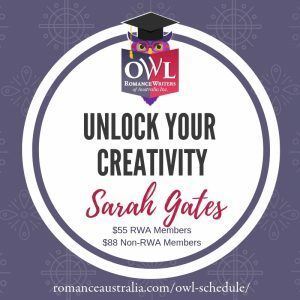 So I attended master classes and workshops, and joined the QLD Writers Centre – that’s where I met the very wonderful Anna Campbell and through her mentorship received the best industry and craft advice I could have asked for. That led to a real shift in my journey; rewrites of some major components of my ms, finding a great editor (thanks, Ellie Gleeson from Le Mot Juste), engaging with writing associations at home and abroad, creating a pen name, and entering writing competitions (the judging feedback alone has been really useful). And most importantly: confidence that I can do this. So far I’ve shopped my book to 10 agents and 1 publisher – with 4 rejections. With each rejection received, I sent out another query the same day… Keeping my hopes up! NINA: I’ve worked with words for most of my life, writing speeches, media releases, marketing materials, briefing and policy papers. I also wrote short stories and poetry in my spare time. Then an injury in my forties meant I couldn’t type for over a year. I kept thinking, if there’s a limited number of words left to write, what do I want them to be? That’s when I started my first novel. I’ve stopped working since then and traded material wealth for time to write. I’m currently editing four novels and I’m finishing a fifth. I’ve had good feedback from publishers but no bites, as yet. Q2. Are you aiming for traditional, indie, or hybrid publishing? NANCY: I still work as an agricultural research scientist so the types of publications I usually publish in are peer reviewed journals, newsletters, or agricultural publications for industry. I started submitting my creative work to traditional publishers about five months ago. In November last year I had my first published short story in a local literary mag – https://tulpamagazine.com/2018/11/16/the-hands-of-the-dead-by-nm-cunningham – It was very exciting! I may dabble in self-publishing in the future. HEATHER: I’m working through a list of traditional agents/publishers that I’ve put together, and if nothing bites by the end of May, will venture up the independent route. I’ll be indie publishing three commercial-fiction (with romantic elements) novels as the traditional market is tight and indie gives me the best royalty returns, creative control and the ability to rebrand and rerelease titles to pivot them into new and niche markets. I’m hoping for a traditional publisher for my crime-fiction novel as the market is hot right now and I think the story is strong, giving me access to a wider distribution channel and the possibility of pulling some readers back to the indie books. Q3. What challenges do you find the most difficult? NANCY: Writing and editing and receiving constructive criticism feels like a natural process, a proverbial walk in the park – but dealing with the nuances of industry and navigating my way through the submissions process has been very daunting. NINA: My biggest challenge is editing, facing down the inner critic and knowing when a book is ready to go to market. Luckily, I have two brilliant and talented critique partners (Beverley Eikli and Lexi Greene) and I’m currently saving to hire a professional editor for the indie books. Q4. Is there an author/s or book/s you adore and use as your inspiration to write? HEATHER: There are so many! Hmm, let’s see… Georgette Heyer, Linda Howard, Nora Roberts, Tami Hoag, Anna Campbell, Kerry Greenwood, Anne McCaffrey – there’s really too many to list! I regularly re-read Big Magic by Elizabeth Gilbert. It’s not a craft book. It’s about creativity and our individual and cultural relationship with it. Big Magic reminds me that my relationship, first and foremost, is with words and story – not readers – and rejection is inevitable and irrelevant to the act of creation. It refocuses me on why I write (for the way words feel when they slide onto the page, the moment when a story surprises me and the privilege of being the first person to read it). Big Magic also stills that voice in my head, the one that tells me authors are other people – special people. Not me. Q5. What advice would you share with someone just starting out? NANCY: Connect with other writers and authors, they are the wind when your sails are down, they’re your inspiration and the best places for advice, information, feedback or just someone to share your writing woes! NINA: Read. Read widely and read lots, across genres and as many authors as you can. I read a lot of RWA members, not just to support these amazing writers but because the quality and diversity of their voices delights me. Write. Write as often as you can. Even if it’s just ten minutes a night, writing is like exercise – the more you do it the easier it gets. The longer I’m away from my screen, the louder the voice of self-doubt gets. And last, but by no means least, reach out to your tribe. RWA is the best resource I’ve found. The support, knowledge and generosity of this community has taken me from a hobby writer to a full-time author, soon to be published. Come and join us, because there are stories that only you can write! Nancy Cunningham is an aspiring historical romance fiction writer who lives in Adelaide, South Australia with her family and several spiny leaf stick insects. Heather Hodgson writing as HM Hodgson I write about romance (steamy scenes a must!) and magic. Magic that moves worlds and takes me to another place. My books are set in the misty foothills of Gippsland, Victoria – my childhood home that holds my heart and imagination to this day. I’m a wife, a mother of two (plus eight chickens), and coffee is my life source. I write every free moment I get. Nina Campbell writing as ND Campbell worked as a professional writer with the Australian Government in a range of communications and public policy positions until her recent retirement. She has written a number of short stories, one of which was published in The Australian This Life column, and four novels. Her first novel, Lemon Tree, will be indie published in April. Lemon Tree follows Felicity as she struggles to escape the secrets of her childhood and embrace a life of love. Nina lives with her partner and a particularly adorable Jack Russell Terrier named Molly, in regional New South Wales.